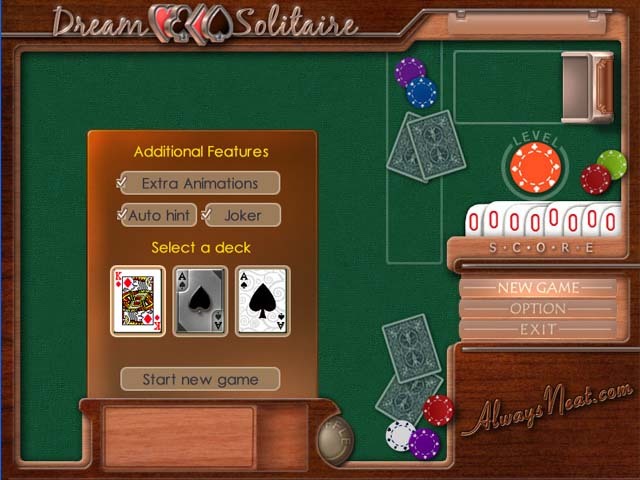 If you like solitaire but want to experience something really new, this is exactly the game you've been waiting for.A combo of puzzles & popular card games.Dream Solitaire is an enjoyable combination of traditional puzzles and popular card games. 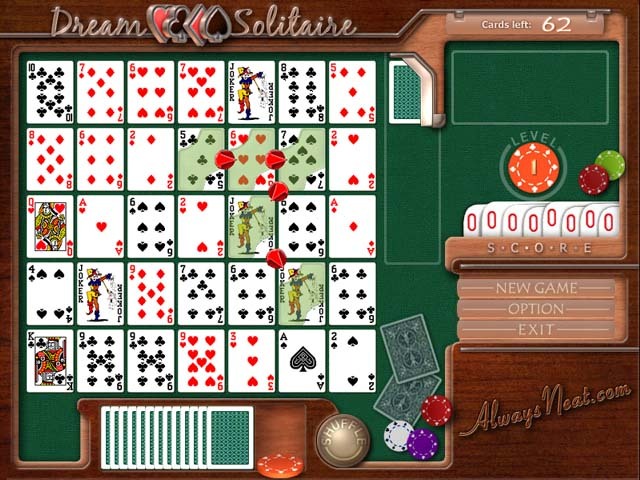 Make chains with cards while keeping to the Solitaire rules. Sounds easy, doesn't it? 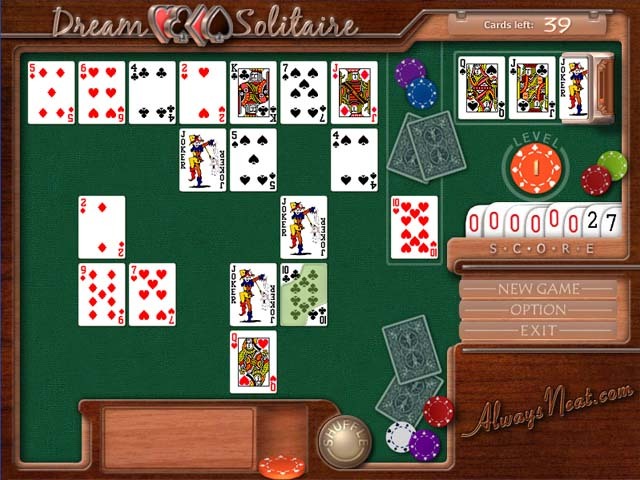 If you like solitaire but want to experience something really new, this is what you've been waiting for. Even those tired of playing traditional puzzles will find it extraordinary. 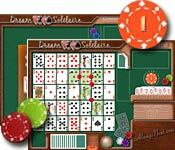 Pick your favorite theme from the 3 possible card types and let's dealdownload today.